Rugby League is back! A very odd fact for an Essex Girl (I use the word girl loosely) I’m a huge league fan! 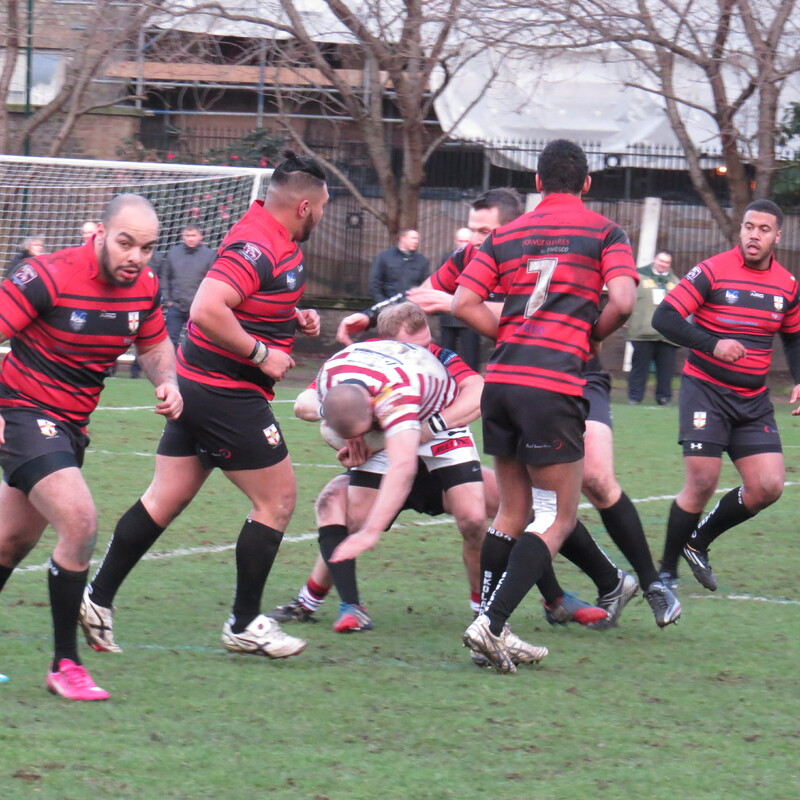 London Skolars, based in White Hart Lane in North London take the game to the heart of the City once a year. 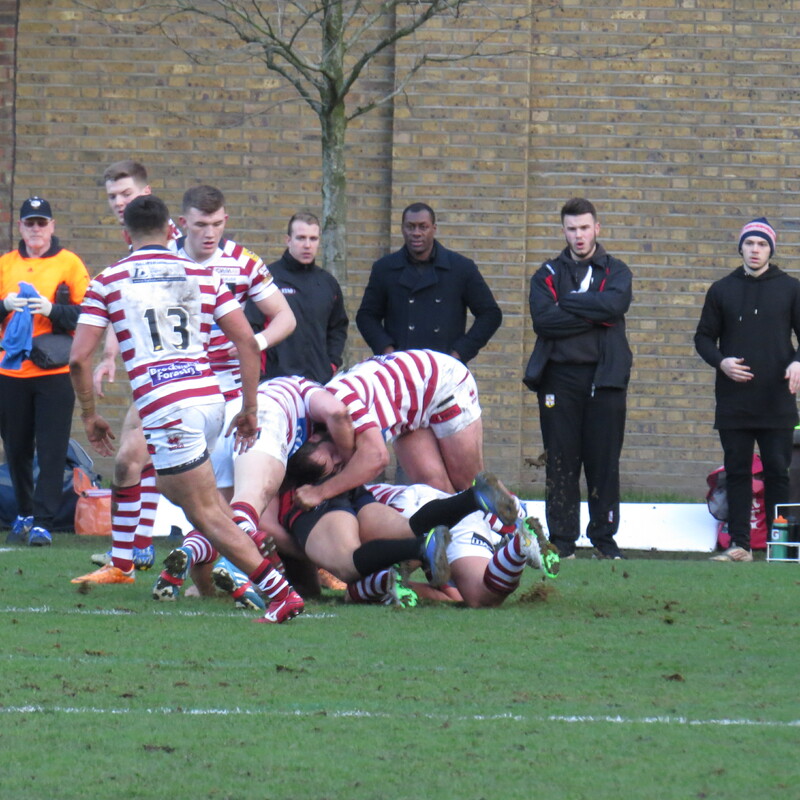 2014 saw the Wigan Warriors step into the breach when London Broncos were unable to commit. 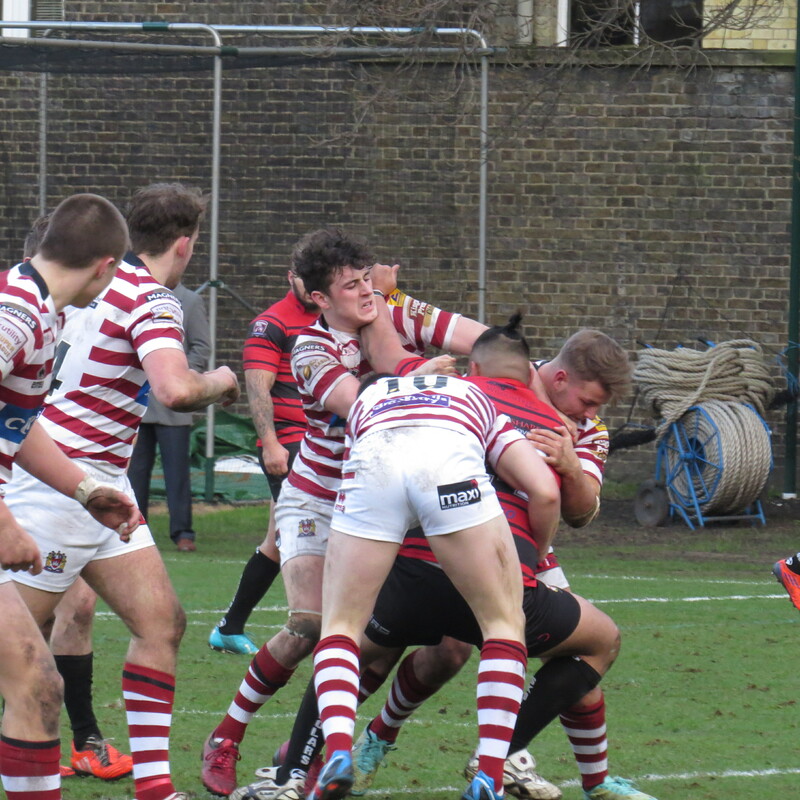 This year they brought their Under 19 team to the Honourable Artillery Company Ground in Moorgate. A game in London meant the train took the strain for me; so – my fellow passengers will have been pleased to realise – no singing at the top of my voice opportunites! I’m sure people think my sports passion odd enough without adding singing in public to my habits. Living in Chelmsford means a very quick journey into the City, I had a quick meeting about writing an article, meaning I had to face one of my biggest fears in life – getting of the train at Bank station! The gap literally has me in a state of panic – but, at last I’ve sussed that you need to be at either the back or the front of the train to avoid it! Phew! Meeting over and Bank station again – but, all cool as I got on at the back of the train! I arrived at Old Street and found myself more than a bit worried that the London Skolars lads, who were in the station sent me in totally the wrong direct for the ground! Thank goodness for Google Maps! There was a lunch before the game which pretty much provided me with my food and drink for the afternoon, so no standard list of beer etc prices. A small snag for me as I arrived, late, was that someone had taken my seat and there wasn’t another place on the table for me. Always slightly awkward walking into a large room alone, especially when there isn’t a place for you! 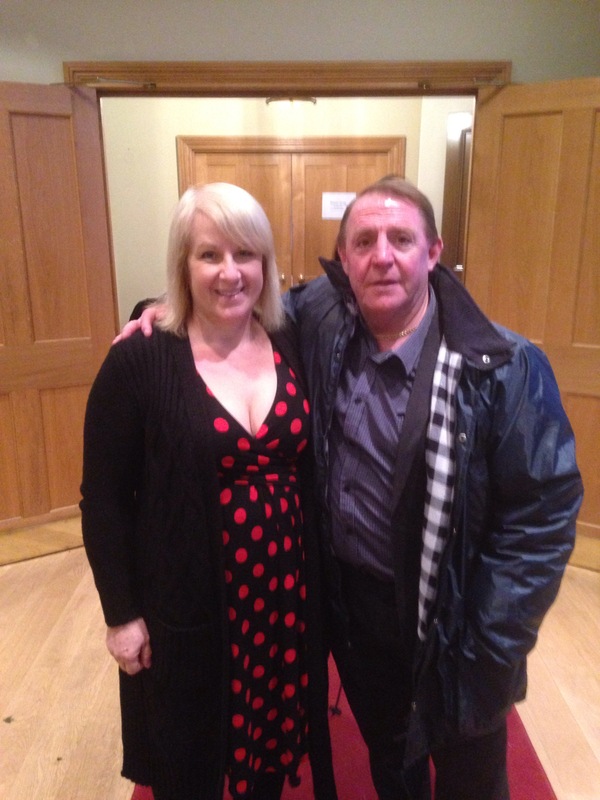 However that was soon remedied and I was sat on a table of City men, none of them really had too much knowledge of rugby league, but were happy to be there to eat what was a tasty lunch. Albeit a strange starter, of beetroot and figs, healthy I’m sure! The main course was a pretty huge chicken breast with potatoes and vegetables. Wine was on offer but water it was for me. There were more than a few rugby league legends in the room with – Andy Gregory, Kris Radlinski, Paul Deacon and Andy Farrell enjoying the lunch. 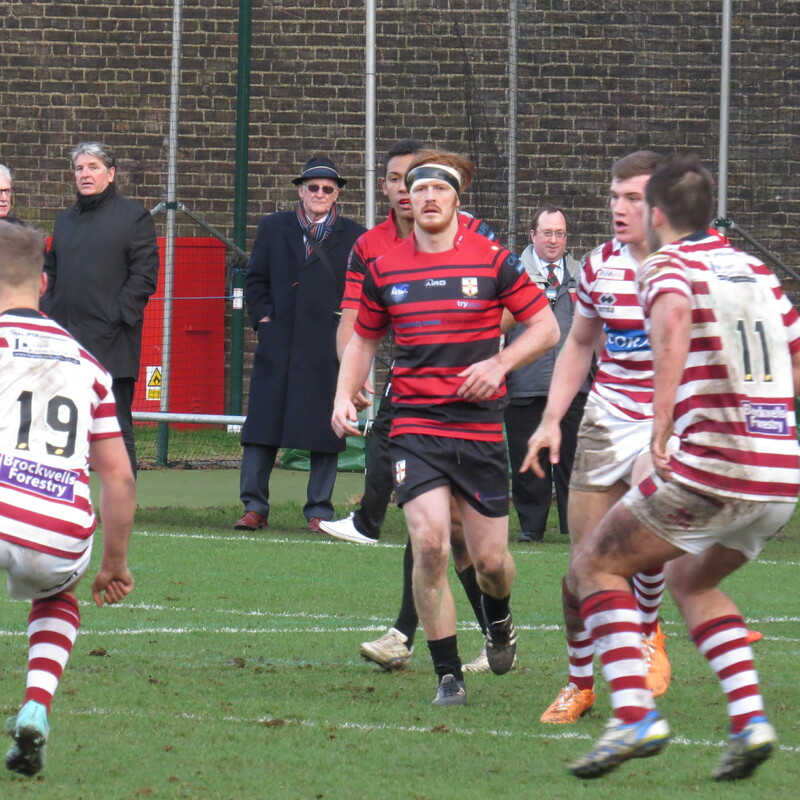 Wigan brought 3 of their 1st team players in Mattie Smith, Josh Charnley (oh to comment on his hair!) and ex Hemel Stags and London Broncos Dan Sarginson. 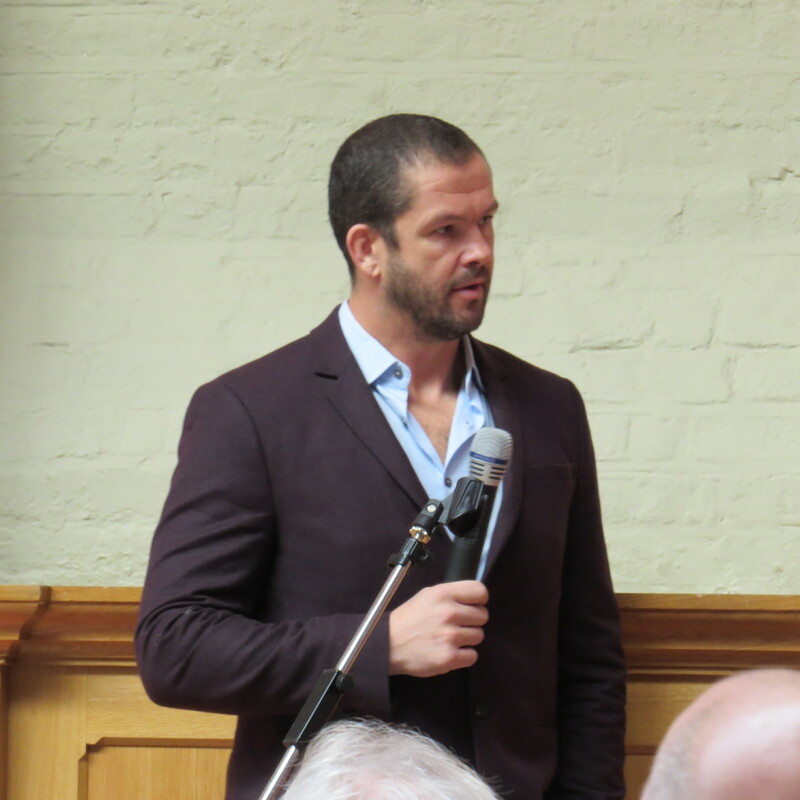 Andy Farrell took questions from Skolars man Howard Kramer – but I must confess I struggled to hear what he was saying. I had expected there to be a stand as there is when Saracens play, but the crowd was much smaller so it was a case of standing on the side of the pitch to watch the match, which was actually pretty good. Rugby League is what I might call a very gritty game, it was good to be able to hear and see the hits at close hand. Now to make sure I don’t write loads about the game – we were looking at men against boys, but the boys were for the heart of the game,and many of them will progress to top flight rugby league. 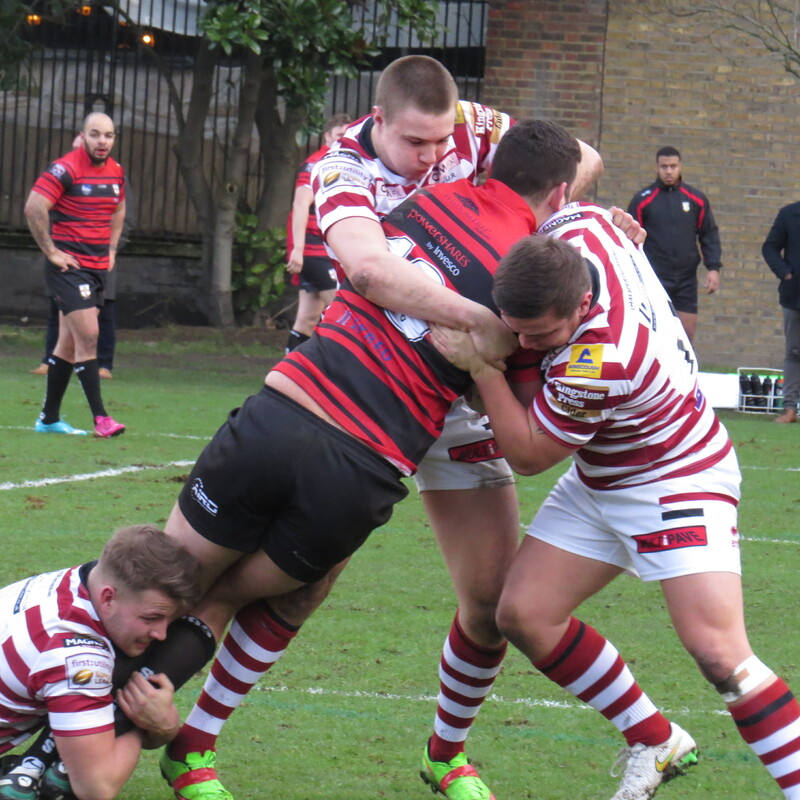 The visitors won the game with the score London Skolars 10 Wigan Warriors U19 28. The scoreline was much closer than last season and will have been a much more useful run out for both teams. Wigan passed the ball with great speed, I’d say, as always, the future looks bright for the club. 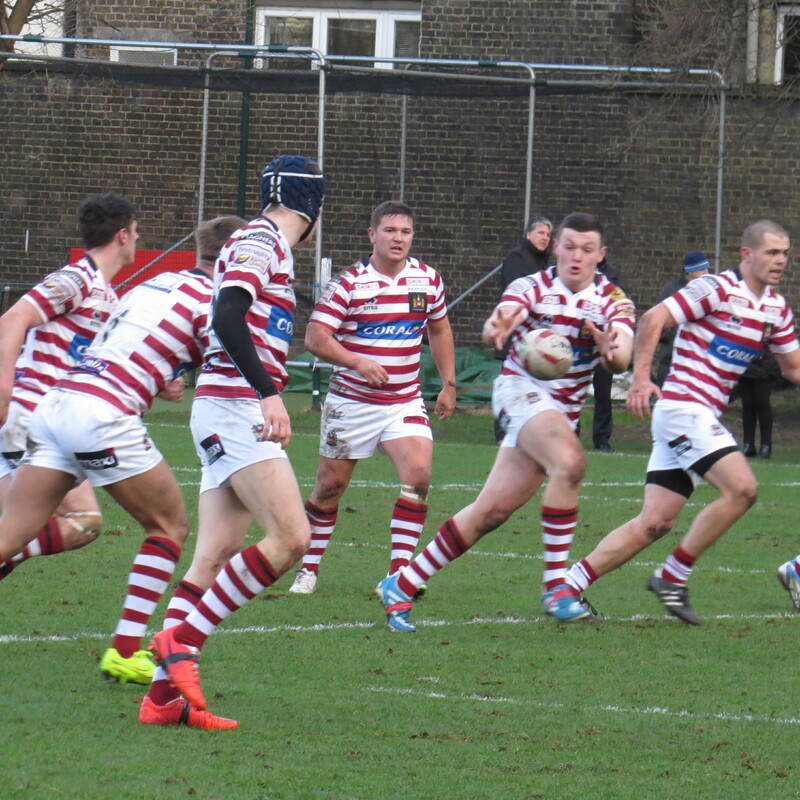 For London Skolars? They had a challenging season in 2014, they looked a much more composed team in the build up to 2015, hopefully it’ll be a much better season for them. Ladies Toilets – really quite posh, so clean, plenty of them, with soap, but weak hand dryers, oh and a door that was a bit sticky! Safety – Moving around London, in spite of the GAP always feels safe, whether it’s light or dark. Best moment of the game – Wigan scored several great tries – it was good to watch the future of the game. 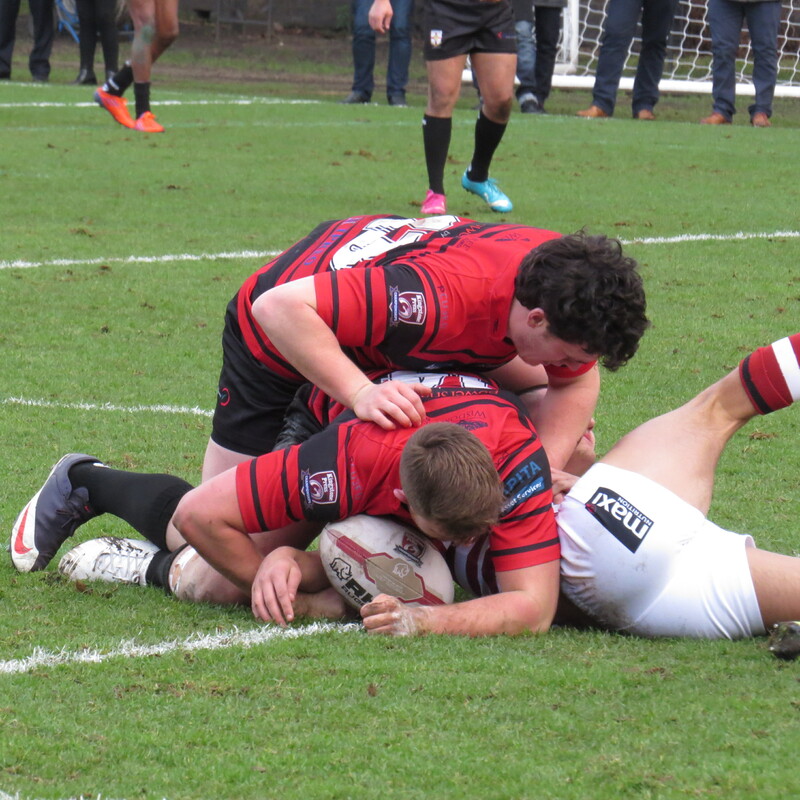 But the best moment has to go to London Skolars Kazeem Edwards for his try. 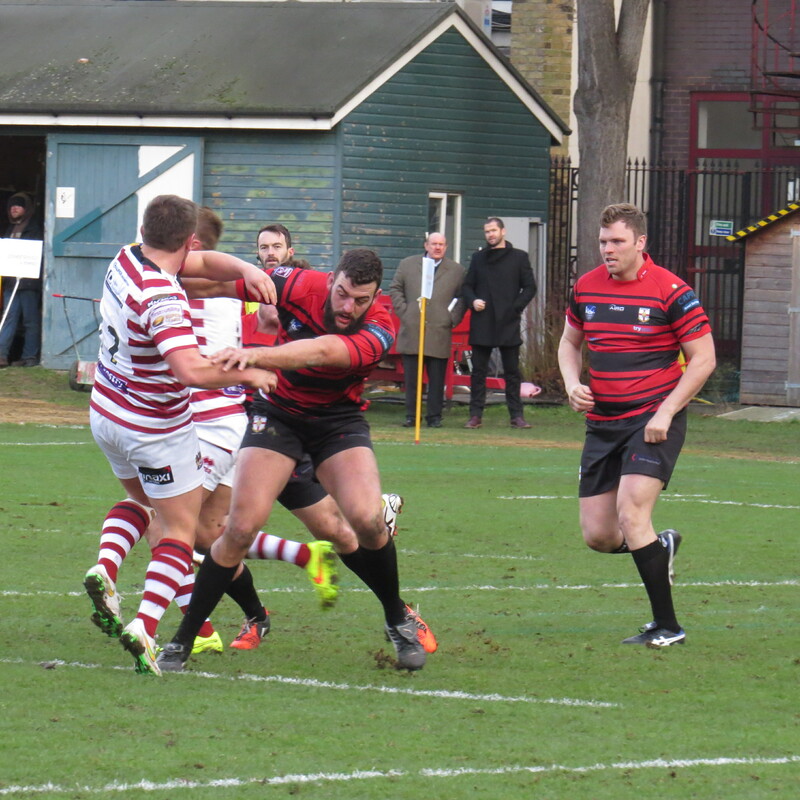 London Skolars face London Broncos at the New River Stadium for their next warm up game – Wigan Warriors will no doubt send a more senior team to play Leigh Centurions on their doorstep. My day couldn’t go by without my standard Skinny, wet extra hot, hot chocolate – I’d bought an off-peak train ticket so had to wait to catch a later train and naturally a Costa called me! Very odd that the Barrista completely ignored what I’d asked for – that meant a wasted drink for Costa but on the 2nd attempt a spot on drink for me! A great afternoon all in all – up next – Saracens v Munster followed by Harlequins v Wasps!